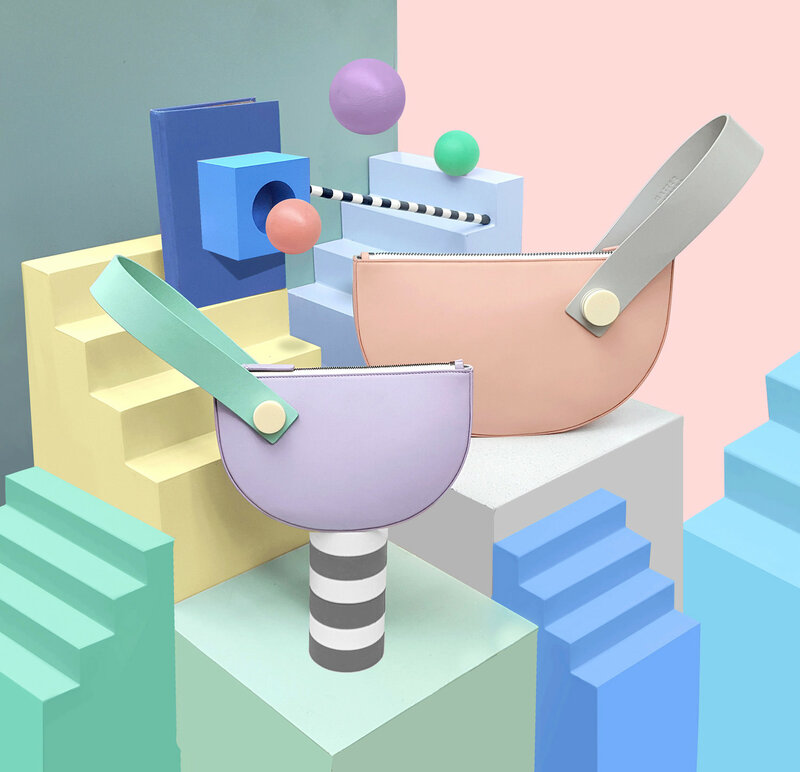 Flora Leung makes the kind of art you won’t forget once you see it. 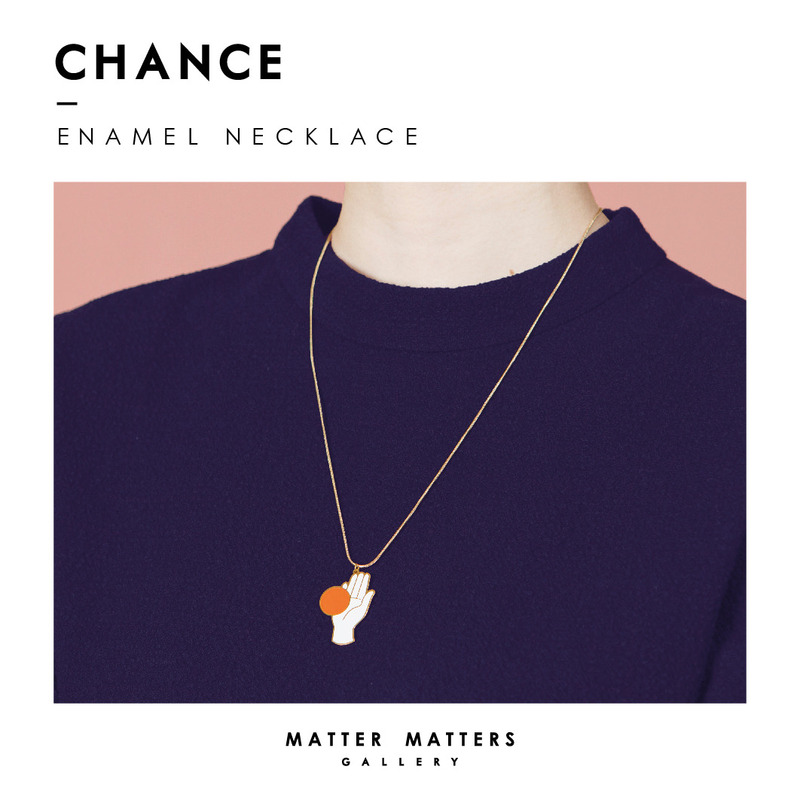 She creates all sorts of fashion pieces and accessories under the name Matter Matters, from handbags to enamel pins, that stand out like nothing you’ve seen before. Flora’s bright colors, bold lines, and eye-catching designs have helped propel her small operation into a brand with products sold around the world. She chatted with us to talk about her influences, solving hard problems, and coming up with the name Matter Matters. When did you decide to start Matter Matters? After working as a buyer and owner of vintage fashion accessory store for six years, I’d seen and studied thousands and thousands of fashion accessory designs. And I also worked as a freelance art director at advertising agencies. So I quit my job and attended London College of Fashion to get my second degree. While studying in the UK, I got everything ready to launch my own label. I realized that universal designs with basic shapes and colors outlast the fickle ups and downs of the fashion market. 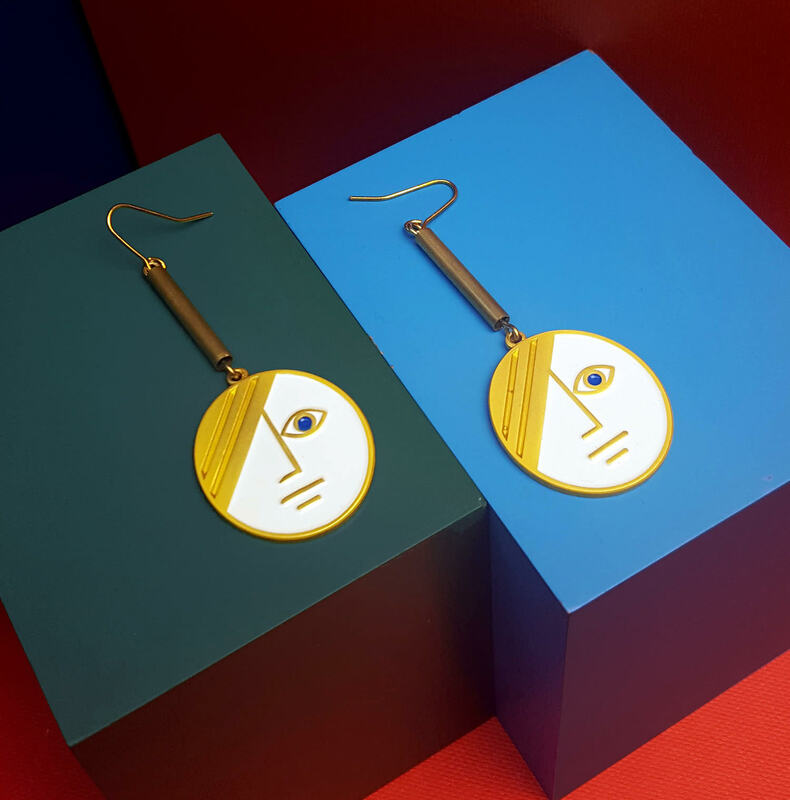 Even with no stable income and virtually no connections, I came back to Hong Kong and started my own brand determined to make unique and innovative designs. 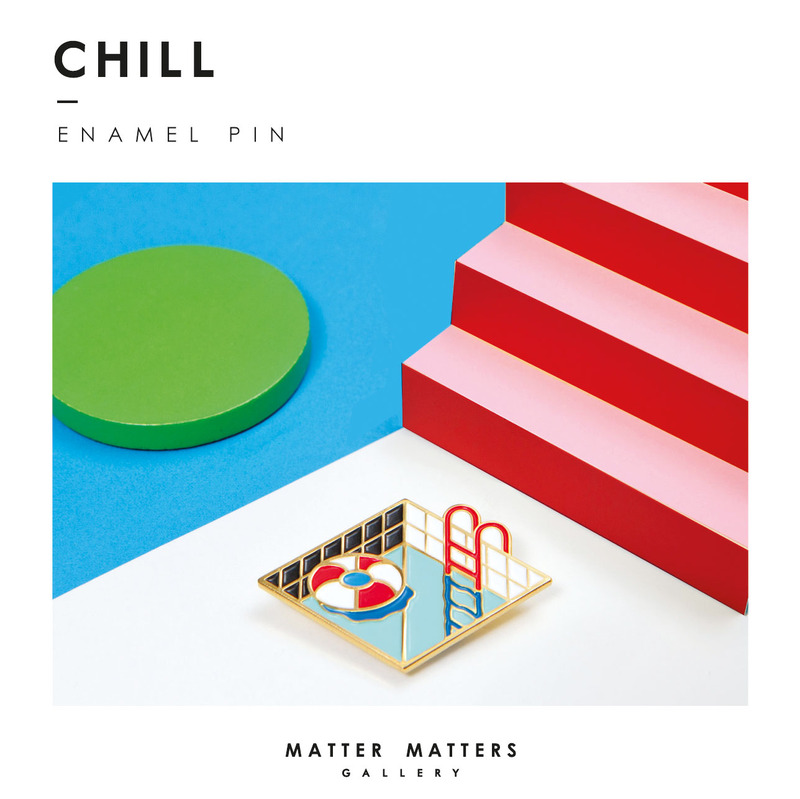 I love the name Matter Matters - it’s catchy and memorable. How did you come up with it? You previously worked in the advertising industry - what are some lessons you’ve carried with you as a small business owner? In the market, which is now the digital world, you only have two to three seconds to get your audience to notice your brand. People can be impatient and easily distracted. As a small brand, being unique and creative is the only way to succeed. People need to recognize and remember my work. I worked very hard, using lessons learned during my years of education and work experience, to make sure my designs are unique. It’s great when accessories are made to last. I always wonder why designers rack their brains and constantly come up with new designs. Good designs always stick around - with a bit more effort and thoughtful design, you can make something timeless that will last for years, even decades. We really don’t need to squeeze ourselves to continue making the same products, unless there is a new, interesting perspective to explore. You mention your inspirations come from Art Deco, Bauhaus and Post-modernist aesthetics from 80s Memphis - but your style feels uniquely yours. 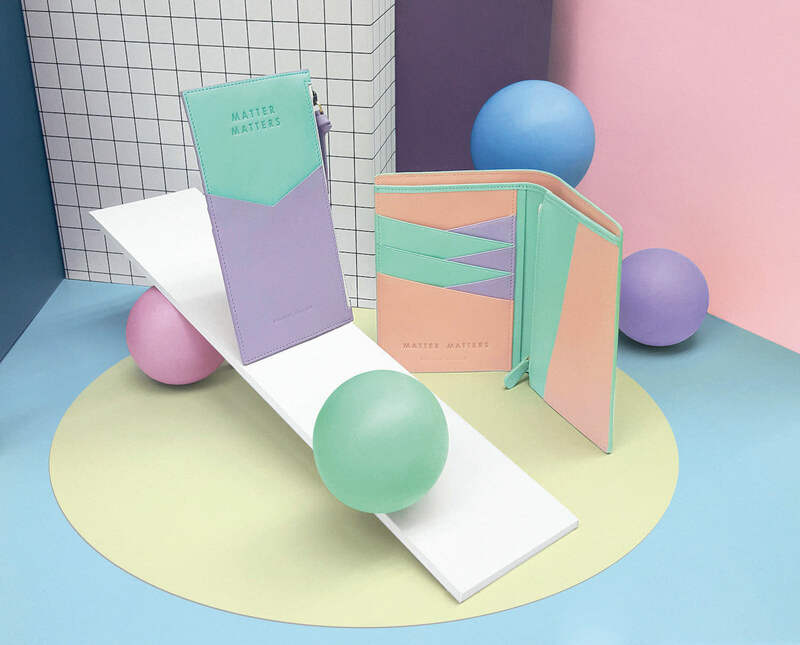 How did you manage to combine those styles into a consistent aesthetic across multiple kinds of products? Geometric shapes and bright colors have fascinated me since my teens. The philosophy of the Memphis movement aims to challenge the idea that products have to follow conventional shapes, colors, and textures. Memphis uses bright, colorful, shocking pieces - making products look remarkable and fun. David Hockney’s paintings capture the humorous moments in daily life with very pleasing colors. In my head I think I’ve always mixed these two together. I love mixing all my inspiration together to create work with humor and wit. My creative process is very intuitive. It’s all about playing with everything around me. Everything has a unique underlying structure of primary shapes. I’ll pick random objects and follow my instincts to build something really special, something funny, something I’ve never seen. I’ll prioritize visual and aesthetic elements more than practical considerations. My rule for designing is to make something fun and remarkable, but to remain elegant. It’s very enjoyable to create something bold and colorful which makes people feel energetic. What’s one product you’d like to create in the future? We’ve started looking for a factory to produce our very first stationery series. Has there been an unexpected lesson you’ve learned while running Matter Matters? Small start-up fashion labels can often be self-indulgent while trying to create a unique selling point that helps them stand out from the crowd. The hard part is to meet the market’s needs and be distinctive at the same time. With so much competition it can be hard to find a good balance. Also, finding the right factory with proper quality control is difficult for a small label. But I researched the field for nine years before I started Matter Matters. I don’t really think of any lesson as unexpected - I tend to embrace all difficulties and challenges that comes to me, whether it’s dealing with factories, printing, retailers, or negative comments. Your work is sold all over the world - do you partner with distributors and shops to manage that? How do you know when you’ve found the right fit? Thanks to digital media, I consider myself quite lucky that the brand has been covered by international press including WWD, L’Officiel, Time Out, Vogue, Elle, Nylon, and more. Our buyers and distributors hear about us because they see our products - I’m glad that they remember us once they see us. Our products are quite specific, so we’re not for everyone. I love keeping my operation small in scale, unique and not over-distributed. What products did you first start with? How did you learn to manufacture them? Matter Matters first started with bags and scarves. It was hard to find the right manufacturer to work with in the beginning. Once I worked in the fashion field for a few years, it got a little easier, with factories even approaching us to collaborate and improve the quality of our products each year. Do you have any tricks for solving hard problems? What do you do when you get stuck in your creative process? Be prepared. The path is not gonna be particularly smooth for a new business, so stay positive and be ready for all kinds of problems. Thankfully, Google helps a lot. When I get stuck in my creative process, I usually meet my designer friends for drinks and chit-chat a bit. That brief meeting can help me feel happier and more motivated, ready to get back to work. Don’t stress trying to force things out. Instead, watch a funny movie or a documentary of your favorite artist. David Hockney and Edward Hopper, and graphic designers Yusaku Kamekura and Max Huber. What’s one piece of advice you’d give to a young artist? Think big! Think about what you want most when creating your work and try to make it. Be on your toes, ready to accept that everything you want to happen, could happen. So, go for it. 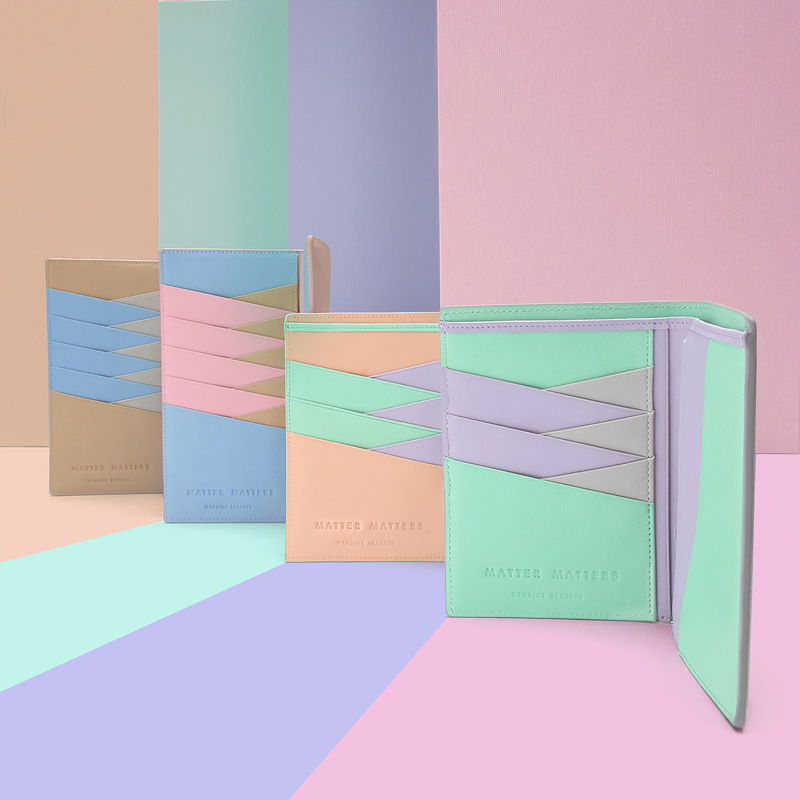 Outfit yourself with a statement piece from Matter Matters’ shop, featuring sweaters, jewelry, wallets, and more. You can follow Matter Matters on Instagram to see what Flora will dream up next.